The Ji’an Causeway Bay City Plaza project is developed and built by the Hong Kong Causeway Bay Group. It is located in Jizhou District, Ji’an City. 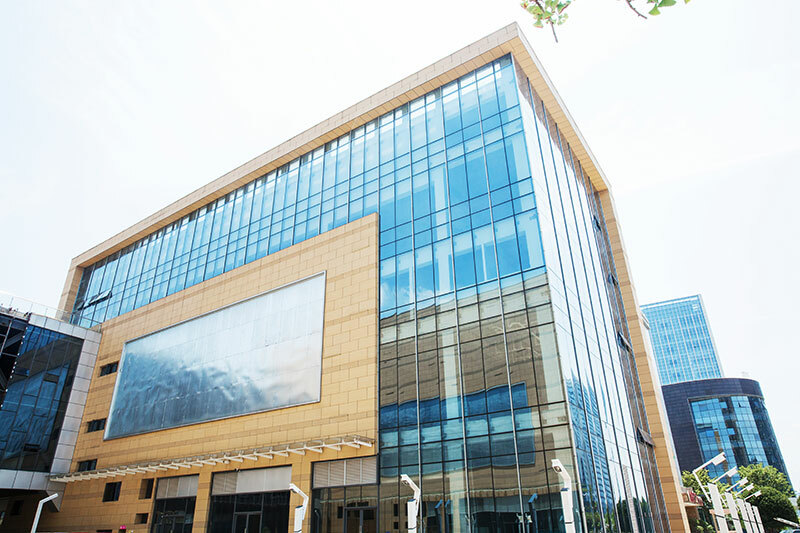 With an estimated total investment of RMB 4 billion, it is committed to building a large scale urban commercial complex with distinct local cultural features and international standards, bringing together fashion and shopping malls, global cuisines, and entertainment, exhibition and other business facilities. Hong Kong Causeway Bay Group is a large-scale enterprise specializing in large-scale retail department stores and real estate investment. It has invested in nearly 50 projects in 19 provinces, municipalities and autonomous regions in mainland China, with a total area of more than 5 million square meters. 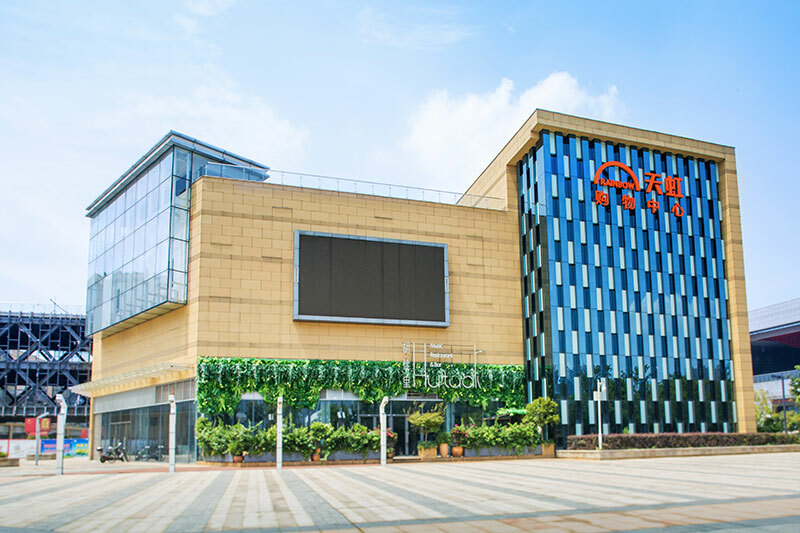 The first phase of the project is a large shopping mall with a commercial single building area of 110,000 square meters, consisting of a number of connected large buildings. The first phase was completed at the end of 2017 and has been partially put into operation. 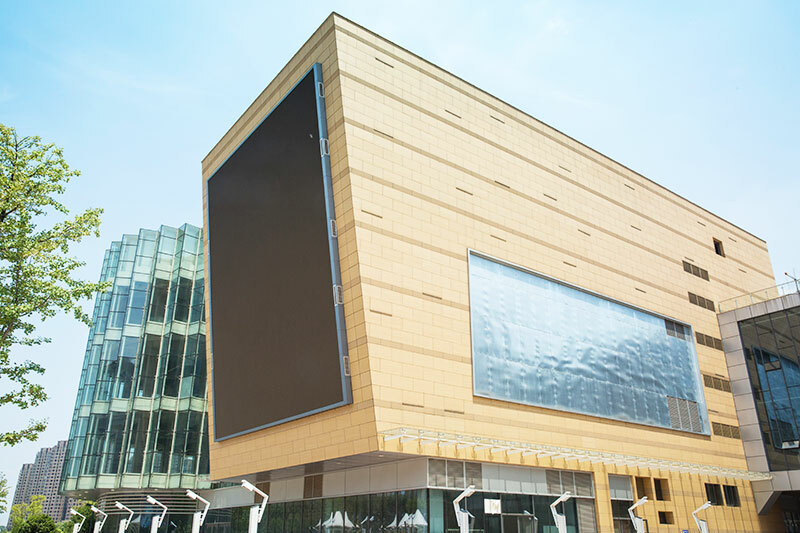 The architects used the terracotta facade panels and the glass curtain wall as the exterior wall claddings of the whole project and designed and matched according to the functional requirements of the different areas of the project so as to create a well-arranged building facade with various changes. 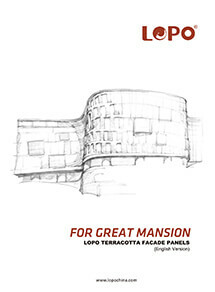 The main body of the terracotta curtain wall adopts LOPO’s unique yellow sandstone terracotta panels. The bright yellow as the main color makes the whole commercial project full of vitality. 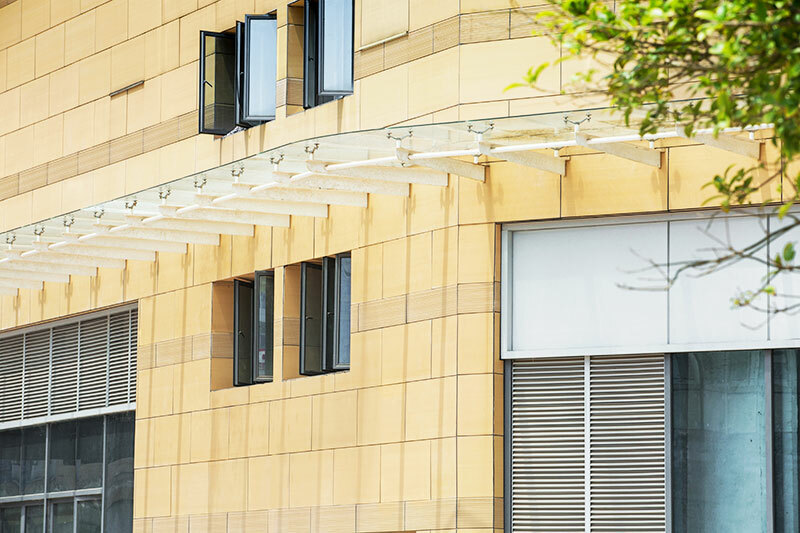 Partial use of light brown linear terracotta tiles made a horizontal line segmentation on the building facade, adding visual depth to the building. 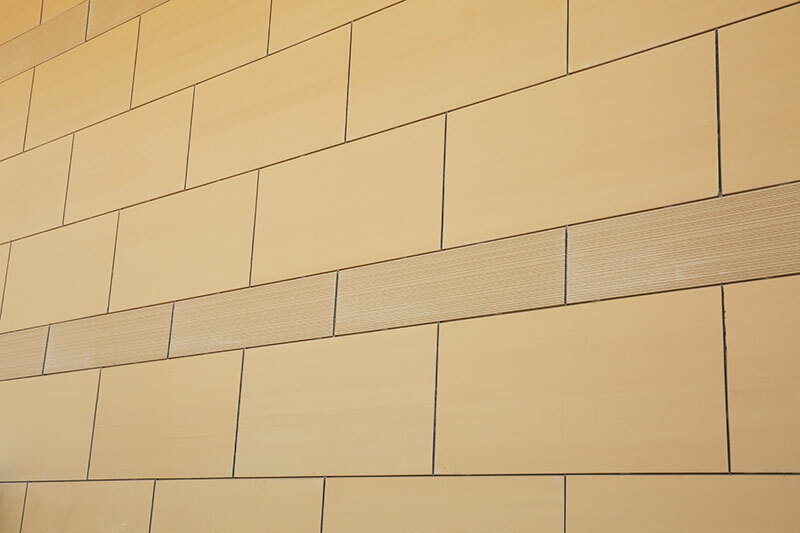 The natural texture of the sandstone-surfaced terracotta panels enriches the layering of the facade. 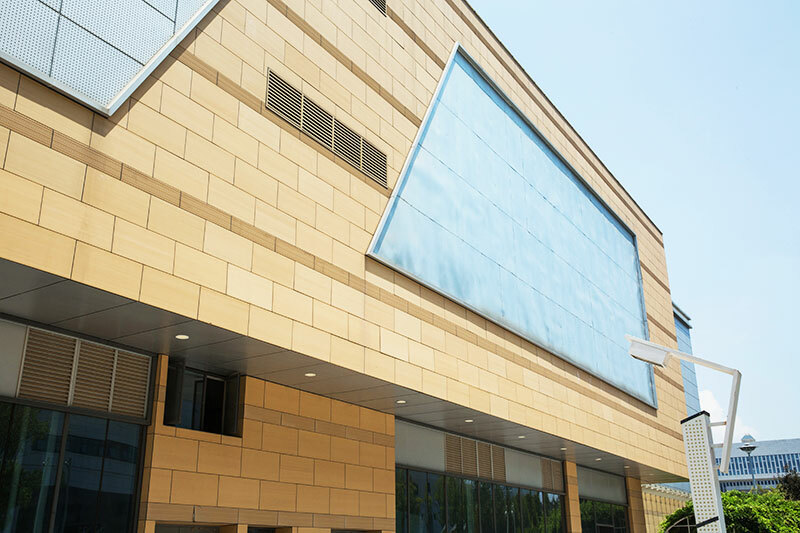 The LOPO's sandstone-surfaced terracotta panels adopts special manufacturing process, which forms a natural sandstone-like texture on the smooth surface of the panels. These sandstone-like textures are natural and random, and the textures on each panel are different. 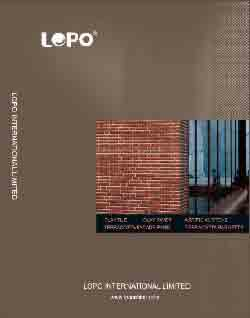 The most popular LOPO’s sandstone-surfaced terracotta panels are yellow, red and gray.